The centerpieces are very important part of the decor of a party, these details are not just for the main table and the guests look good, but to be in or on them, put the treats for attendees. 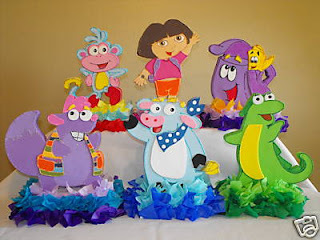 If you chose the character of Dora birthday party decorate for your child, here are some ideas for centerpieces that you may find useful. 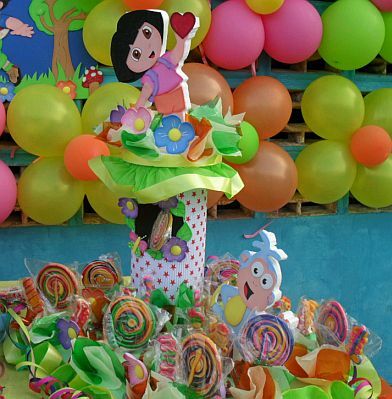 Centerpiece of Dora and her friends, on two levels, choosing the right candy is also very important. 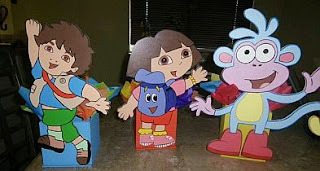 Another model in which Dora is located in a small garden, made entirely of paper. 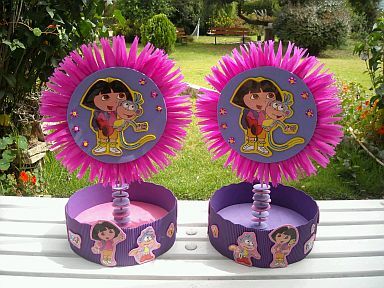 Interesting centerpieces of Dora, with adequate space to place the treats for the guests. 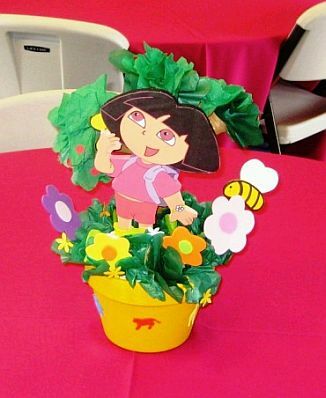 If you prefer to Dora and friends, here are some great ideas for Centerpieces. 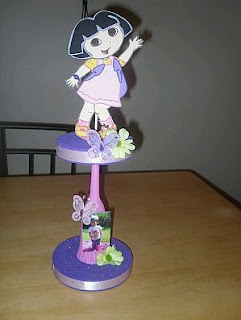 Cute centerpiece with Dora and all her friends, has two levels and decorated with flowers. 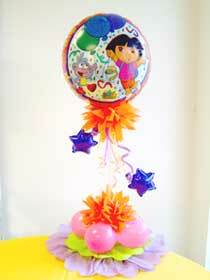 Another beautiful centerpiece decorated with balloons and papers. Centerpieces Dora, Diego and his friend monkey, these are boxes inside which are placed the goodies. 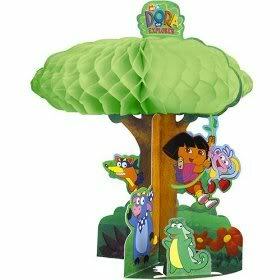 Center table very well crafted, is the main character Dora in a small jungle nicely decorated. 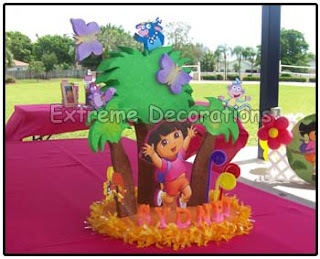 Dora Centerpiece decorated with papers, its two levels allow you to look great. Finally, another interesting centerpiece on two levels, with Dora on top and decorated with flowers and butterflies.